Hi there, how are you doing? I hope you have had a really good couple of weeks. Mine have been busy and fun. If you remember the last time we spoke it was March 17th or to give it its other name St Patrick’s Day. I have an Irish Surname, my Granddad was born there and I am always up for a fun day out. Therefore I do try to celebrate this day in some way every year. There was a bit of a spanner in the works for this year’s plan. My intention would normally be to go straight to Waxy O’Connor’s off Leicester Square in London nice and early to get a place and get in before the queues. 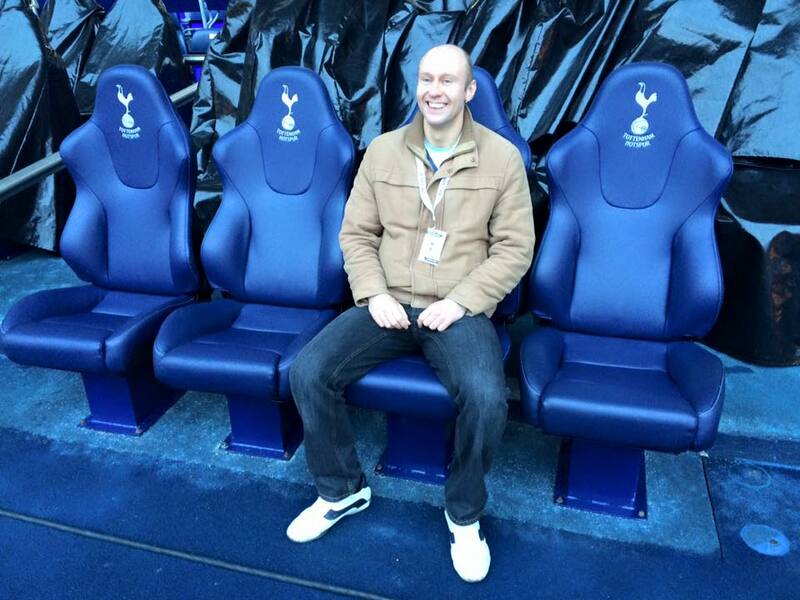 However my football team Tottenham were in action in the FA Cup Quarter Finals against Swansea. Kicking off at a quarter past midday. The Irish Pub were not showing the football and there was no way I was going to miss the game. Luckily the fantastic Comedy Pub just down the road were showing it. Fair play to them they put the game on a big screen on their third floor. The room was full of Spurs fans, so it was a great place to watch it. With quite a good atmosphere for a pub game. 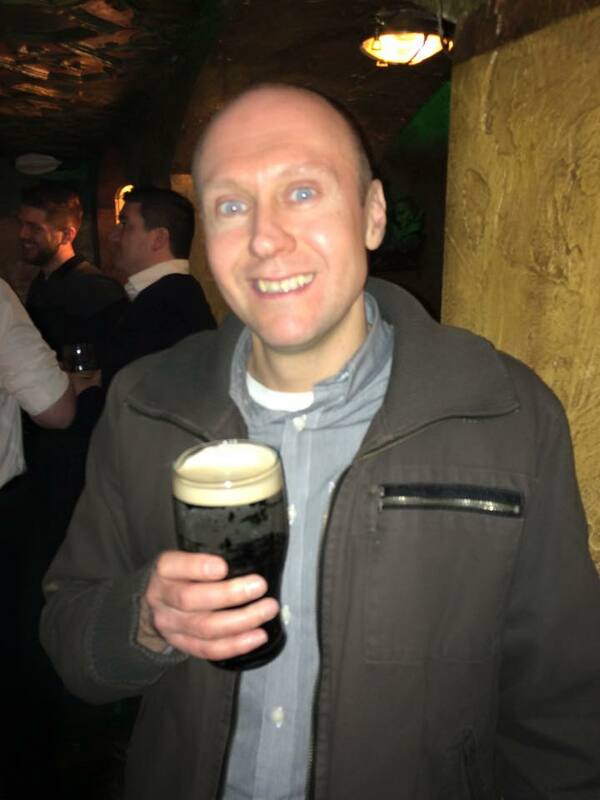 I did still get in to the spirit of the day by having a couple of pints of Guinness during the match. It all went perfectly for my team. We won quite convincingly. Much to the annoyance of the one Swansea fan in the room. Who left about twenty minutes before the end of the game. The afternoon had started very well with Spurs making it through to the FA Cup Semi-finals. Then the plan did go a little pair shaped, as I feared it might. It was the final of the Rugby Six Nations that weekend. On St Patrick’s Day afternoon England were playing Ireland. That game started fifteen minutes after the Spurs game ended. It was also a Saturday, so more people could get to the pub earlier. Therefore when I tried to get in to Waxy O’Connor’s after the football. There was a queue round the block. I am not one for queuing at the best of times but especially not when it is freezing and snowing. So I then decided to head to All Bar One in Leicester Square for a drink. I concluded there was little point trying to get into my favourite bar. Until at least after the rugby. Next then, mainly so I did not have to walk to far. I went and had a drink in the Hampshire Hotel Bar. It is a bit up market, so there was no Guinness on offer and I had to have a red wine. Finally I wandered around to Waxy O’Connor’s and managed to get in and have a couple of pints of in my opinion the best Guinness in the capital. 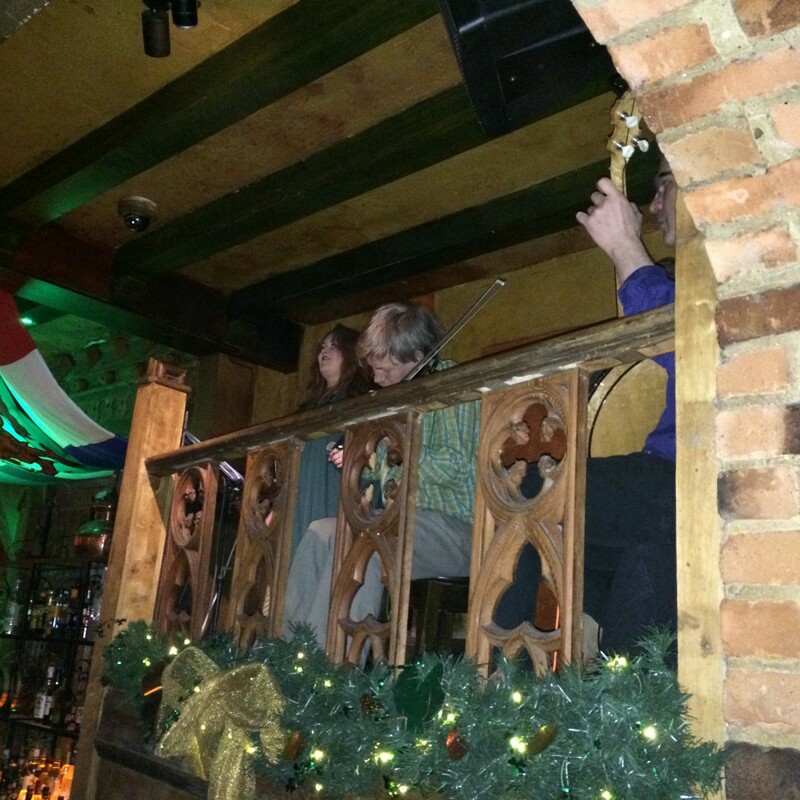 They had live Irish music. It was absolutely rammed, as usual. The atmosphere was great and it was lots of fun. I am already planning next year’s St Patrick’s Day. When hopefully I will be able to get straight in to Waxy’s and spend a bit longer in there. Football matches willing of course. 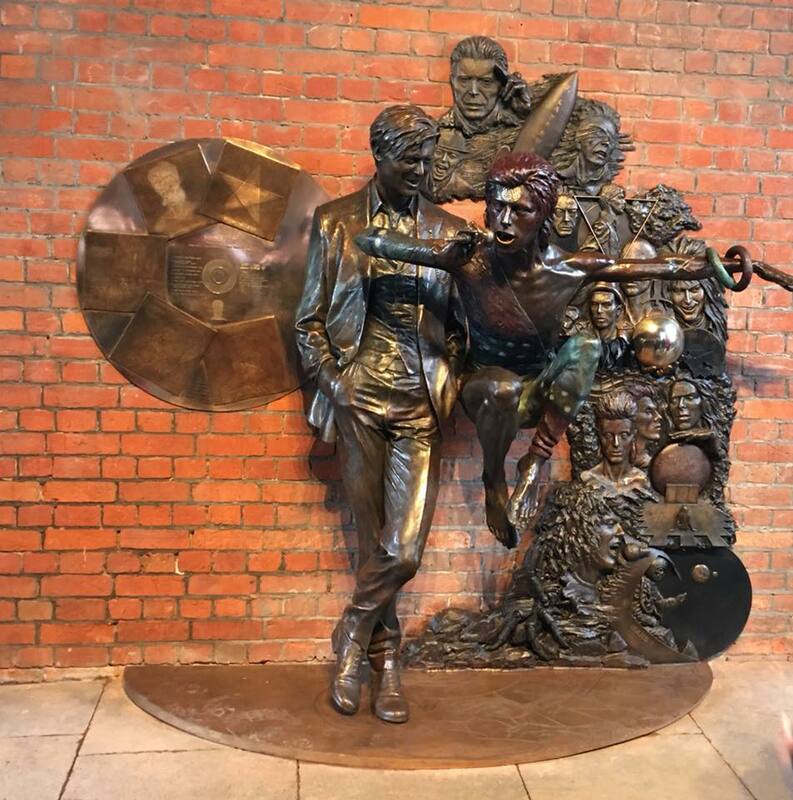 I attended the unveiling of the world’s first David Bowie Statue in Aylesbury. The reason he is being remembered in this way in the Buckinghamshire town. Is because he made his first ever appearance as Ziggy Stardust there. He appeared at the very popular, iconic and now legendary Friars Music Club. 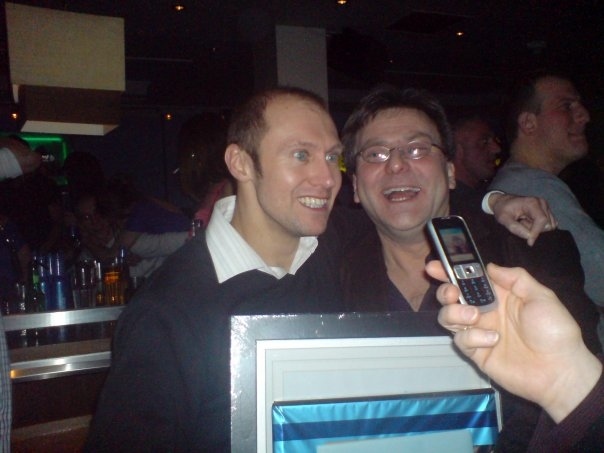 The driving force behind the art work was the man who run the club David Stopps. He set up a kick starter campaign to raise the one hundred thousand pounds needed to fund the project. It was designed and sculptured by renowned artist Andrew Sinclair. It took him around a year to complete. It is a very detailed piece of work featuring Bowie depicted at various different stages of his life and career. He was there on the day and talked us through every bit of his masterpiece explaining the ideas and reasoning behind certain parts. Which was interesting to hear from his point of view being its creator. 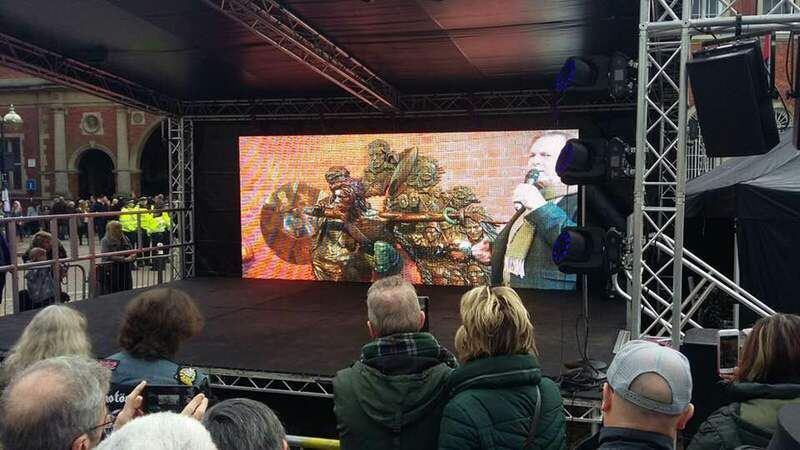 Also on stage and speaking at the event were some other famous local musicians including Howard Jones and a couple of members of the Aylesbury band Marillion. Plus the town’s MP David Liddington. He is someone I have known and interviewed several times over the years. It was nice to catch up with him for a bit after he had finished addressing the crowd. It was all nicely done with a stage set up in the Market Square showing David Bowie videos mixed in with some live performances from local bands. It is certainly an eye catching thing. And is a fitting way to mark a man of his stature. Although you could argue his ties with the town are slightly tenuous. I have met the man behind it David Stopps a few times over the years. He is fiercely passionate about his music and has worked in the industry all over the world with some very big names for over forty years, so he knows his stuff. His first real venture, which was the Friars Music Club, as well as bringing David Bowie to Aylesbury. Also saw Genesis, The Police, Lou Reed, Roxy Music and Gary Numan play in the town, After quite a break he bought it back in 2009. Therefore he is still putting on music concerts in Aylesbury on a pretty regular basis, Which I think is great. I went and saw the force of nature that is Danny Baker doing his final Cradle to the Stage one man show at the Shepherds Bush Empire. I was in good company as Jonathan Ross and Kate Robbins were both there to enjoy it to. I remember watching him on the Six O’clock show as a kid. I loved the original TFI Friday programmes. That he made with Chris Evans. And I have read his first two books and liked his autobiographical TV comedy Cradle to The Grave. I have also for years admired his work on the radio. 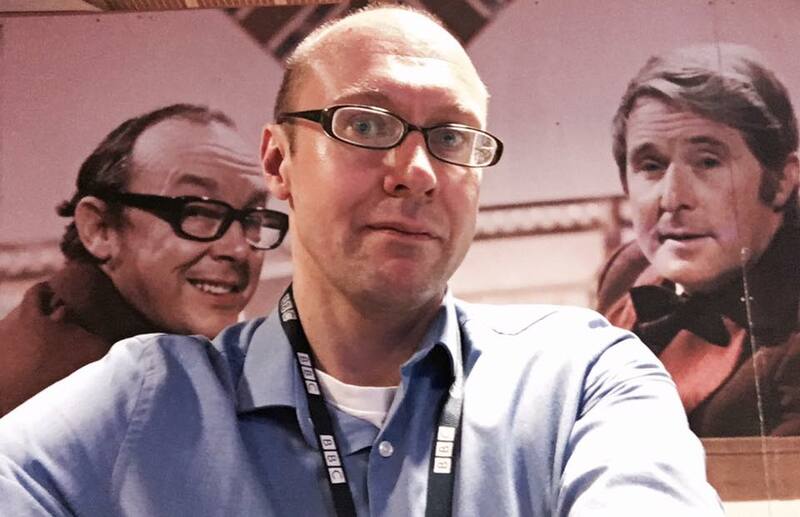 I have been lucky enough to see him around at the BBC a few times recently. The next logical step was to see this show. Which is basically him telling many stories about his life and work in show business. We have always known the man can talk. But despite it being a near on three hour performance. I felt he only got to touch on a small selection of his anecdotes from his crazy life. Literally as he finished one story, it reminded him of another which then led to another. He had to keep censoring himself to move on and actually get on with the show or we could all still be there now. For a man who admits he has been lucky and is a bit of a chancer. He has met everyone you could possibly imagine from the world of entertainment over the last forty years. And has a story to tell about all of them. It was a funny, entertaining, interesting and amusing evening. I must confess he has a better singing voice than I was expecting. He is of course super talented. You do not achieve the success he has had or be involved with the shows that he has been over the years without it. You can see why so many celebrities over the years have ended up hanging out with him. He would be great company in a proper old fashioned pub. Where you could just drink beer and chat. Well you could chat, if you could get a word in edge ways. Which may be the only issue. He is going on a brand new tour soon called Big Time Charlie. In which he will talk more about his early days at the NME. Where among other things he was in Led Zeppelin for thirty five minutes, he went shoe shopping with Debbie Harry and hung out with Michael Jackson for a few days. As you do. I am looking forward to seeing that show. Hopefully later in the year. 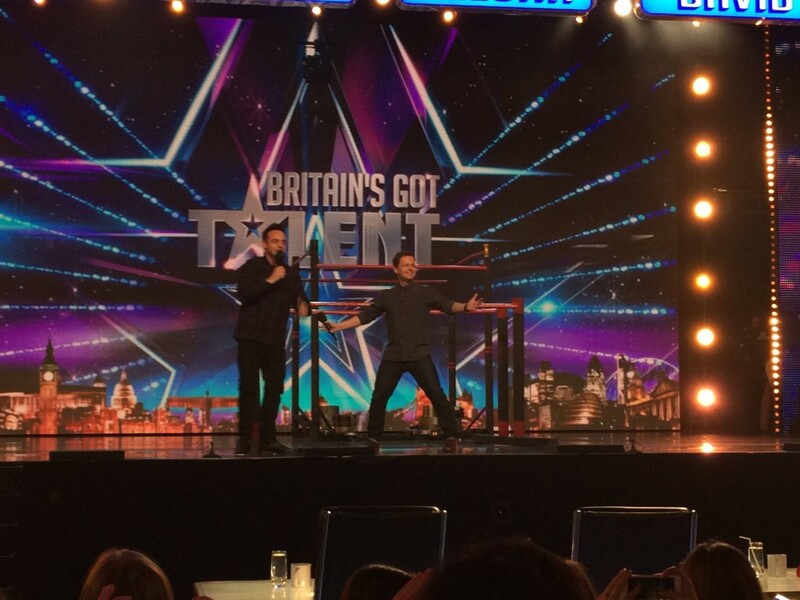 I have often said on here what a big fan I am of the work of Ant and Dec. Who I do think are brilliant presenters. That opinion has not altered. However I have lost a lot of respect and appreciation for Ant after his arrest for drink driving. I am aware that he is facing several personal problems. Which he needs to deal with. I hope he gets the care and support he needs to overcome them. But stepping behind the wheel when over the legal limit is unacceptable. On a lighter note congratulations to the other half of the duo Dec. Who has announced he and his wife are to become parents for the first time. News I guess, he would have liked to have revealed at a more stable time for his career. But life rarely works like that. It will be interesting to see how it works and how it feels with him hosting Take Away by himself. He is a great presenter. He will do a top job. But seeing his mate not stood next to him will completely change the dynamics of the whole thing. A friend of mine, who is a fantastic singer and performer has a new song coming out. It is set to be a big tune in the clubs across Europe this summer. Her name is Nickita. The song is called Body Whine. Keep an ear out for it. Also she is often out gigging, so if you get the chance go along and see one of her shows. I had a great day out at Wincanton Races with my former boss Steve Carpenter in the week. 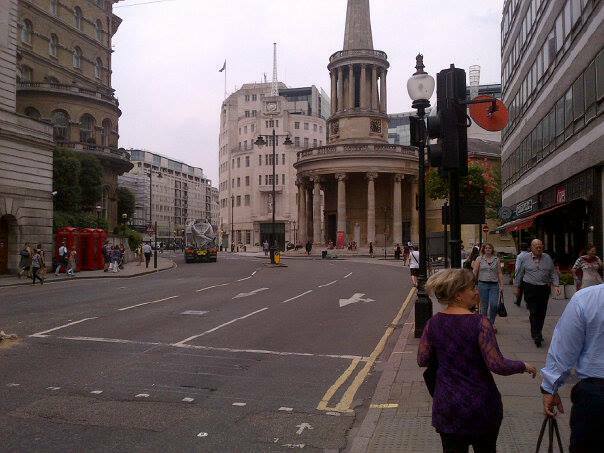 I used to go there quite often when I worked at Ivel fm. But this is the first time I had been there for years. I went there and back in a day on the train. The race course run a free shuttle bus from and to the train station in Templecombe. There was a nice surprise in the parade ring when I arrived. The winner of this year’s Cheltenham Gold Cup Native River was in there. 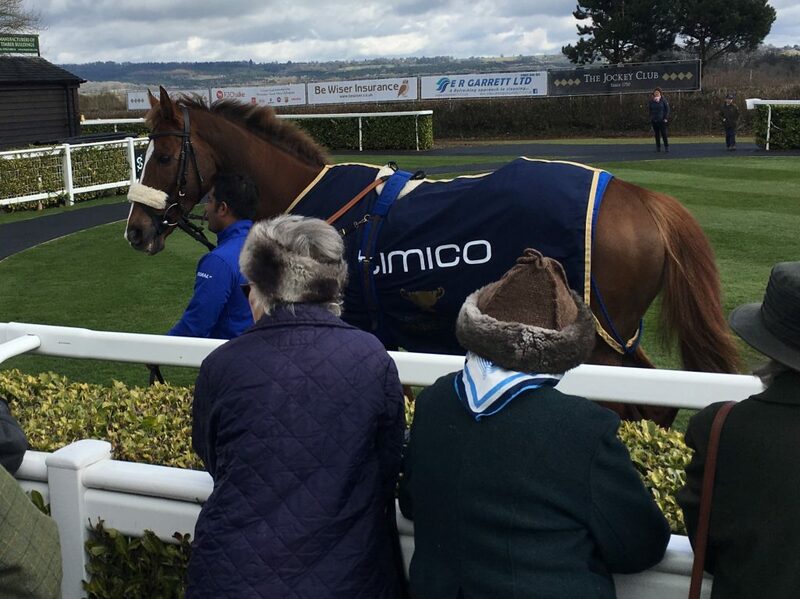 He was trained by one of the local trainers to Wincanton Colin Tizzard. I also saw another local top trainer in Paul Nicholls within seconds of arriving. It was a good day. I had a couple of small winners. Then in the final race I backed a horse at 33-1. Which came in second but being an all or nothing kind of guy. I had not done it each way. It was great to catch up with Steve and remember some of the classic moments from my time is Somerset. The shuttle bus picked up more or less straight after the last race and got us back to the train station for six. The train back to London was not due till quarter to seven. Not a problem, we will just have a quick drink in the local pub, we thought. However it turns out there is nothing in Templecombe, no pub, no fish and chip shop. There is just one shop in the whole place. Much to our amazement. I think it is the first train station I have ever been to that has not got a pub near by. I had a first this week. An issue with a product I ordered from Amazon. I have been looking around for a new pair of going out trainers for a while. I finally saw these Nike ones that I liked. I think mainly because they reminded me and the ones that Michael J Fox wears in Back To The Future. Anyway I ordered them and about five days later they arrived. I opened the box and instantly liked the look of them. I excitedly took out the right one and tried in on. It fitted perfectly and felt instantly comfortable. Which is unusual for new footwear. I then took out the left one to try that on and found myself struggling to get my foot in to it. I scrunched my foot in to it but it felt so tight I started to lose feeling in it. At this point I am thinking may be my feet are slightly different sizes. And I had just somehow never noticed. But then I take them both off to discover the right trainer is UK size 7 my shoe size and the left one is UK Size 6. They had sent be the right trainers in different sizes. I have had to send them back. I now have to wait two weeks for the replacement. Which I have to admit is really annoying. As I was looking forward to wearing them. And now I currently have nothing to wear with the red body warmer I got to go with them. Hi there, how are you doing? I hope you have had a really good couple of weeks. Mine have been pretty busy and lots of fun. I went out for a few drinks in Camden recently. I do not go out there very often but when I do I always enjoy it. It has such a different and interesting vibe to it. Plus there are lots of great pubs to visit. It is an area where you really do see all sorts of people in every outfit you can imagine and yet nobody there looks out of place. I ended the night in a pub that I always visit, when I am there. Which is the Hawley Arms. It simply is just a cool place to hang out with a great energy and atmosphere to it. It was famously Amy Winehouse’s local. There are lots of memories of her dotted around. It is also the place where Pete Doherty once held a press conference in the beer garden. They both used to drink there regularly. But it was a popular haunt with celebrities and music stars long before them. Liam Gallagher, David Bowie and Boy George were once fairly frequent visitors to the place. Having a drink there does make you feel a little bit like a pop star. I made another one of my fairly regular visits to the excellent Old Rope comedy night in London last Monday. 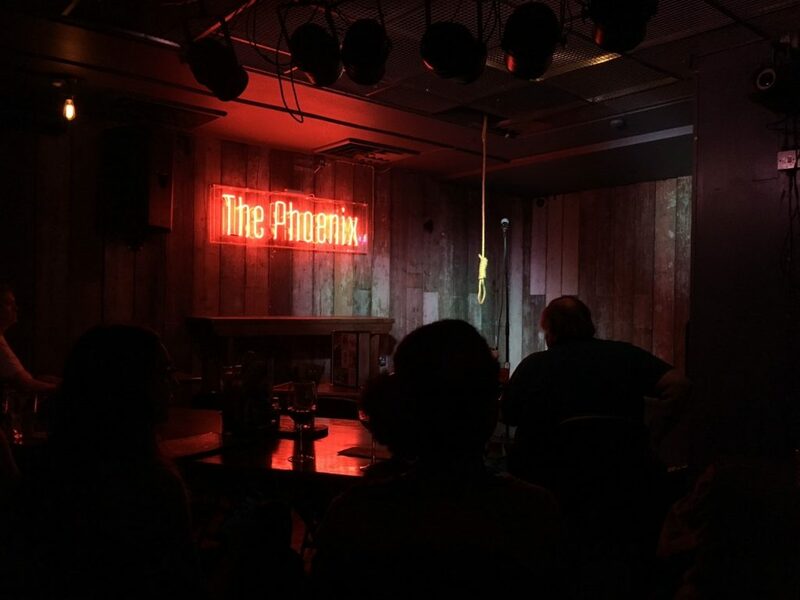 It is a new material night for top comedians at the Phoenix Pub just off Regent Street. The night is hosted by the wonderful Tiff Stevenson. She is helped by her dad and mum. Who work on the door and look after all the other acts. It was another great line up. The place was sold out with an audience of comedy lovers. Which does make for a lovely atmosphere for the comedians. On the bill performing their new stuff were Eleanor Tiernan, Andy Zaltzman, Phil Wang, Tony Law, Tania Edwards and Simon Brodkin. They were all brilliant. It is all very honest. In that they will sometimes make reference to if a new bit has worked or not or even admit if something needs more work. As an audience member it does make you feel that you are part of the process of shaping their new shows. I also find that owing to the fact I have attended a comedy course with Logan Murray and because I am in the process of reading his book. I can spot some of the writing exercises, that they have been doing to create the new material. There is a process and science to comedy. The headliner was the brilliant James Acaster. He did forty minutes of his latest show. Which is already hilarious and will probably be even better by the time he tours it. He really is on fire at the moment. It was another fun night. If you are free in London on a Monday night. Then go to the Old Rope. You really cannot go wrong. While we are talking about comedy. Very sad news this week with the death of the great Ken Dodd. He died at the age of ninety in the same house he was born in and lived in all his life. And what a life it was. One of the best comedians this country has ever produced. Sharp, clever, funny, silly with a love of comedy and making people laugh. I do regret the fact that I never got to see him perform live. I bought my parents tickets to see him as a present once. His live shows were famed for over running. If he and the audience were having a good time (as they always were). He would just keep on going. It always got to the stage where people were in danger of missing last trains or trying to re-book taxi’s for later. It was a running joke at every venue that the theatre staff would leave him the keys and he would lock up when he was finished. This was the case when my parents saw him. The show started at 7.30pm and the interval did not happen until 10pm. He eventually and probably reluctantly finished just after midnight. You could never say that you did not get value for money at a Ken Dodd gig. He rightly has a statue at Liverpool Lime Street Station. With him depicted holding one of his famous tickling sticks. It is a very welcoming sight when you arrive in to the city. RIP Doddy. Thanks for the laughs. My team Tottenham Hotspur have been knocked out of the Champions League. After a two all draw away at Juventus in the first leg. We were beating them one-nil at home in the second leg at Wembley Stadium. I was at the game. The atmosphere, as you would expect for such a big game was fantastic. We played brilliantly in the first half and were deservedly one up. All was looking good with the world. Then as soon as the Italian team got their first goal. It really seemed to jolt our players. They looked a bit shell shocked. Which seemed to lead to a lack of concentration. Which in turn lead to the second goal. 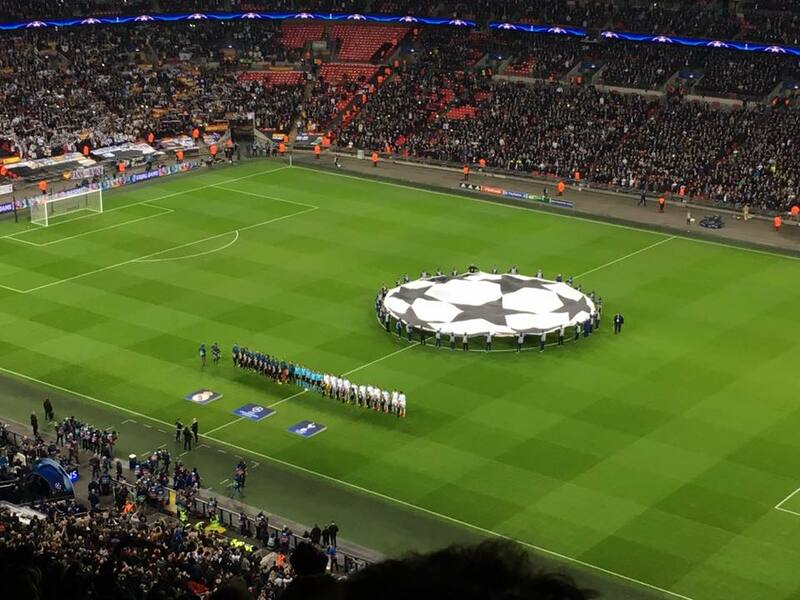 We gave it a good go and were unlucky when Harry Kane’s header hit the post in the dying minutes. If that had gone in it would have at least taken us to extra time. But alas it was not to be. The whole competition was fun. But as a team you can’t buy experience. Going out like this after doing so well, will hopefully help us to progress further next season. Finishing in the top four has now become even more important for Spurs with the European adventure coming to an end. It would be disappointing to not be playing in the Champions League in the first season at our great new stadium. 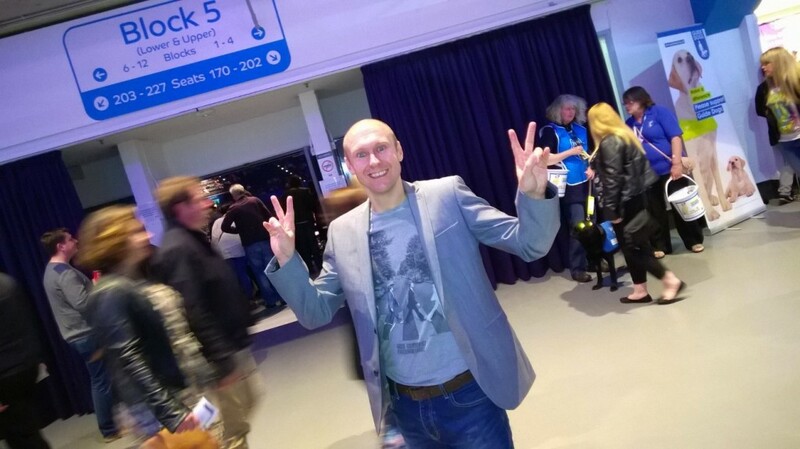 I was at Wembley to see us beat Huddersfield. Which was another important three points at home. It was also pleasing to see us bounce back from the European failure with a good away win on the south coast against Bournemouth. The downside of that was Harry Kane going off with an ankle injury. Obviously any team would miss his goals and a player of his quality. But oddly our record when he has not played is not that bad. And personally I feel the team as a whole misses Christian Eriksen more. When he is out. That said I hope Harry is back and playing soon. And that we have a great end to the season. Congratulations to Ant & Dec who recently celebrated the one hundredth episode of Saturday Night Takeaway. Which is still the best Saturday night entertainment show in my opinion. The centenary show featured lots of old clips from the show. It was fascinating how young the two Geordie presenters looked when it first started. They work so well together. It still regularly delivers new fun items and classic old favourites. When a programme has been going for such a long time. It is so hard to keep the quality up. It is tough finding new ideas because they have basically done everything that can possibly be done. Which is always a problem for long running shows. However when you have those two fronting it. They can make anything entertaining. I am looking forward to the rest of the series. 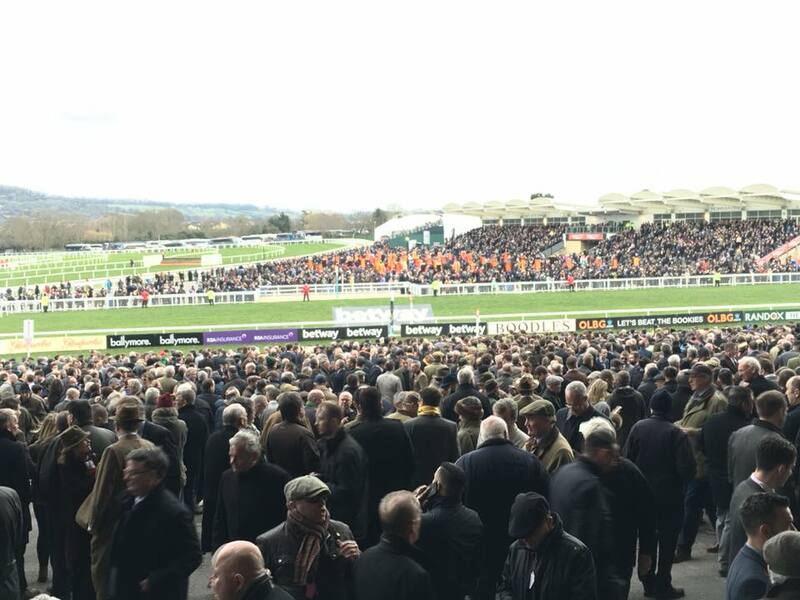 Thanks to my mate Dan Smith for giving me my first experience of the Cheltenham Festival last Wednesday. I am a big horse racing fan and have previously been to Royal Ascot and The Grand National meeting at Aintree. But never before had I been to the considered home of National Hunt racing. It had been on my to do list for a few years now. Therefore I was very happy to put that right on Ladies Day this year. As it is set in such a beautiful part of the country. The train journey itself gives you the chance to enjoy the wonderful countryside, as you head there with tens of thousands of fellow race goers. It is as you would expect for an event that has been running for so long very well organised. They run shuttle buses from the station to the course for five pounds return. They pick you up outside the station and drop you right by the entrance. We were in the Club Enclosure. Which gives you a great view of the finishing line from the stands. It also offers you the chance to enjoy some nice bars. The whole course is so well designed that you can see the entire course sprawling out in front of you. All framed with the Cotswold Hills behind it. It really is a perfect setting. 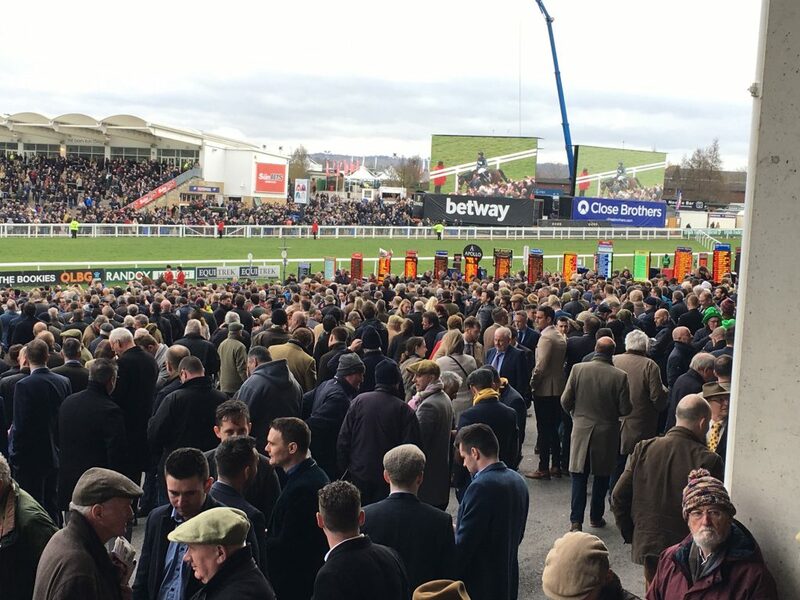 As it is a race meeting that does pit the best British Trainers against their Irish counterparts .While taking place during St Patrick’s Day, week. I thought it would be rude not to have a few pints of Guinness, while I was there. The day’s racing itself was top quality. With some brilliant high class contests. You really cannot beat seeing the end of the races as the horses jump the last and fly up that big hill to the finish line. Especially if your horse is in contention still or ideally winning. It is perfectly acceptable to scream and shout at the top of your voice to cheer you selection home. I bought a brand new suit for the occasion. And if I do say so myself, I was looking fairly Dapper. I had a brilliant day battling the on course bookies. I had a winner in the second race. Another winner in the fourth race. Then came the final race of the day. I was looking for an outsider to put an each way bet on. I recognised a horse that was called Relegate. I remember seeing it win somewhere before. I liked the fact it was being ridden by Katie Walsh. She is a great jockey. Who has had a lot of success over the jumps in Ireland. It had odds of 33-1 for it to win. I just fancied it, so I put a ten pounds each way bet on it. I then returned to the grandstand to watch the race. With two fences to go my horse was right at the back of the field. Then after it had jumped the last it suddenly flew in to action and caught the horse that was leading right in front of me on the home straight. I had to double check it was my horse. As it had just come from nowhere. You can imagine my joy and excitement as it won. I netted three hundred and eighty pounds. Which was a great way to round off my first Cheltenham Festival. I also got to see the force of nature that is Altior storm to victory. I will definitely be returning there next year. I cannot wait. It really is a fantastic day out. If you are a fan of horse racing, it is something you must go and experience. Today is St Patrick’s Day. My Granddad was born in Ireland and I do have an Irish surname. Which I think gives me the right to go out today and enjoy a couple of pints of Guinness. I will be heading as always to my favourite pub in London Waxy O’Connor’s. Which I also believe serves the best pint of Guinness in the capital. It is always a great place to celebrate. They have live Irish music. The day will be improved further this year by the fact that Ireland play England in the Rugby Six Nations. Which will ramp up the atmosphere even further. I will let you know how it was next time we speak. Hi there, how are you doing? I hope you have had a really good couple of weeks. Mine have been nice and busy with loads of fun things going on. 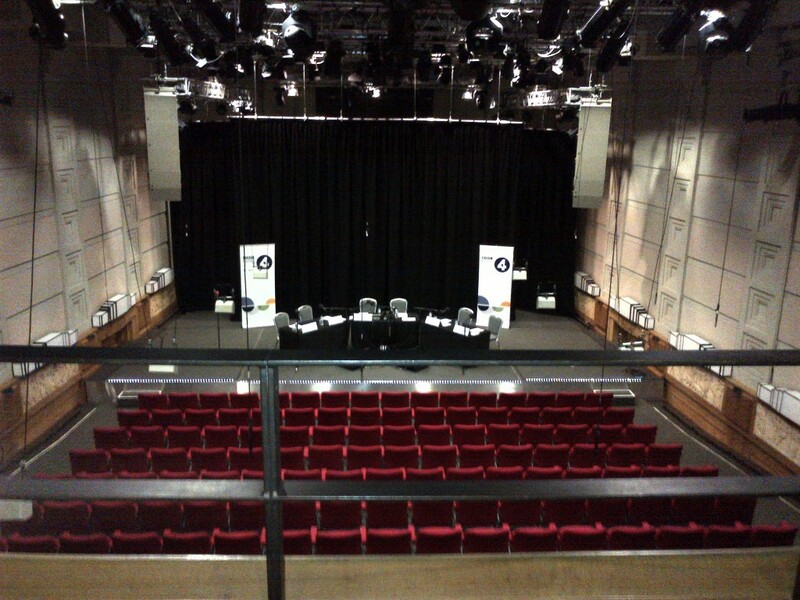 A couple of Sunday’s ago I spent a brilliant afternoon seeing a stand up comedy television show being filmed in the BBC Radio Theatre. It does sound slightly bizarre that but it is actually a nice venue for comedy. The show features new and up coming acts. Who have been scouted up at the Edinburgh Festival by producers. And who then get invited to perform that latest show for the cameras. Which is fantastic for them, as unless you are a McIntyre, Kay, Manford, Murray or Carr you will probably not be releasing a comedy special on DVD or Netflix, so it means they get a quality recording of that show to keep and enjoy for ever. I saw two comedians perform their full Edinburgh Shows. 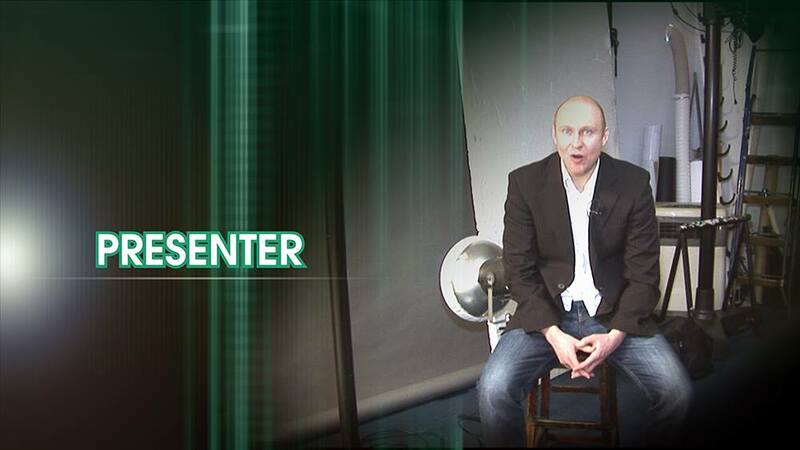 As it was a TV show they had the brilliant Mark Olver as the Warm Up man. I have seen him a few times and he is always fantastic. Great at his job. While being very funny and inclusive. The first act was Chris Washington. Who I actually saw arrive at reception with his lunch in a well known supermarket’s carrier bag. He is clearly still very grounded and enjoys keeping it real. He was nominated in the Best New Comer category at the famous Scottish Arts Festival for his show Dream Big (Within Reason). Which he performed for us in full. The show was excellent. Really funny and well performed. Like all good shows it was personal and very much about him and his life. Telling the story of how he ended up at the Edinburgh Festival and as a result of that. Then doing the show for us at the BBC. I would happily see him again. He is very likeable and entertaining. I would definitely go and watch another one of his full length shows. There are no real new ideas in comedy. You just need to say funny things to make people laugh. And that is exactly what he did. 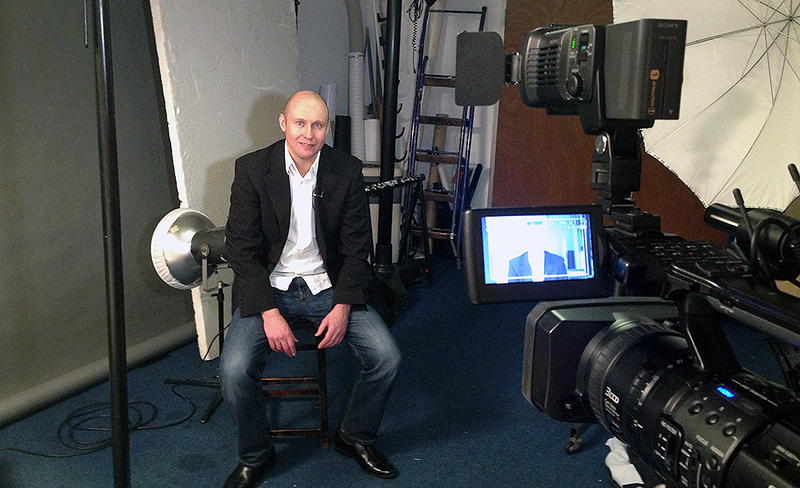 It was a pleasure to witness what I think might be his first full length television appearance. The next comedian on the bill was somebody I had heard of but again had not seen perform live before. It was the wonderful Suzi Ruffel. She was amazing. Right from the start of her hilarious Fringe Show Keeping It Classy. I felt I was watching a tour de force of a performance. She was so at ease but at the same time alive. It was impossible to keep your eyes off her. Telling jokes is one thing but commanding the whole of the room is a whole other talent. I personally felt that, coming through in her act from the second she walked on stage. Crucially of course as ever with any form of comedy. Her show was very funny and very clever playing with stereotypes from her world and the world in general. It is almost a voyage of personal discovery. She takes us on. She is very honest and open about her life. It features her doing regular impressions of her parents. Which I guess could not have been that easy for her, as her mum was sat in the audience. She has supported Alan Carr and Josh Widdicombe on tour. And there is a bit of a buzz around her. Which having seen her do her stuff. I do understand. She is also individual enough in her material and self to carve her own niche in the comedy world. If you get the chance to see either of these two perform live. I would recommend you do so. It was a very funny afternoon spent laughing in an iconic venue. I spent another night out enjoying a show in the West End. 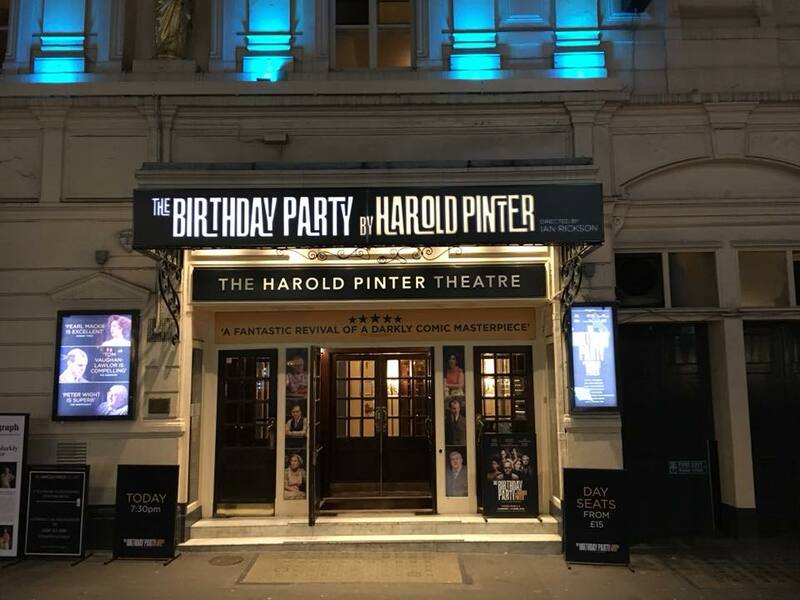 This time at The Harold Pinter Theatre to see the Harold Pinter play The Birthday Party. Which surely must be the perfect place to witness such a thing. The cast for this production was amazing. It featured Toby Jones, Stephen Mangan, Zoe Wanamaker, Peter Wight, Tom Vaughan – Taylor and Pearl Mackie. I had only seen one Pinter play previously. Which was an amateur production that my mate starred in. 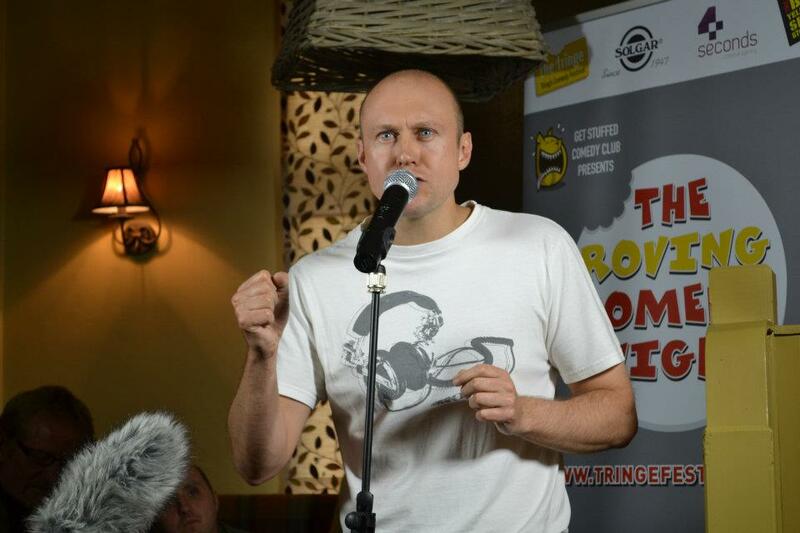 The night I saw he managed to ad-lib a line from Alan Partridge in to it accidentally. Nothing like that happened during this one. Although of course the man who played the famous Dan in Partridge Stephen Mangan was in it. The play itself was good. With an all star cast like that, it was performed perfectly. The staging and the effects were brilliant. I thoroughly enjoyed it. Although I do have to make a confession. If I am honest I cannot say that I totally understood the plot or indeed the ending of the story. I did not really get it. I wonder if that is Pinter’s intention to leave it up to the individual what to make out of what they have just witnessed. Either that or I really missed something from the story line. The ending did confuse me some what. However I absolutely loved the play. It had me engrossed from the start to the finish. I really wanted to see it. As I had heard it was good, which it was. Plus how often can you witness that many great actors playing alongside each other. If you would like a wine review for this theatre. I can confirm they serve a very nice Rioja there at normal theatre prices of course. I met one of my cousin’s in London recently for a few drinks. We ended up in The Porter House just off Covent Garden. I had walked past it a few times over the years but I had never actually been in. I did not realise that it was as big as it was, spread across a couple of floors or that they had live music in there. We arrived at the bar just as the band were sound checking. You should of course never judge a book by its cover. But seeing them set up on what looked like the world’s smallest stage, right behind the bar did not initially fill me with confidence that they would be any good. I should of course had a lot more faith. I mean I guess it is unlikely you would get a gig in a big pub in Central London, unless you were any good. Not only did they sound great together musically. They did a nice and varied selection of well known songs from all sorts of genres and bands. Vocally they were pretty good to. I was impressed and enjoying watching them play. When they shot up even higher in my estimation by for comedy effect changing some of the words to some well known songs to in my opinion at least, make them even more amusing. A fun night out with good music and good company. Tottenham Hotspur have made it through to the FA Cup Quarter Finals after beating Rochdale 6-1 in a replay at a cold and snow filled Wembley Stadium. The FA has been trialling the VAR system in a few games in this seasons competition. They did so in this game and it was an absolute farce. 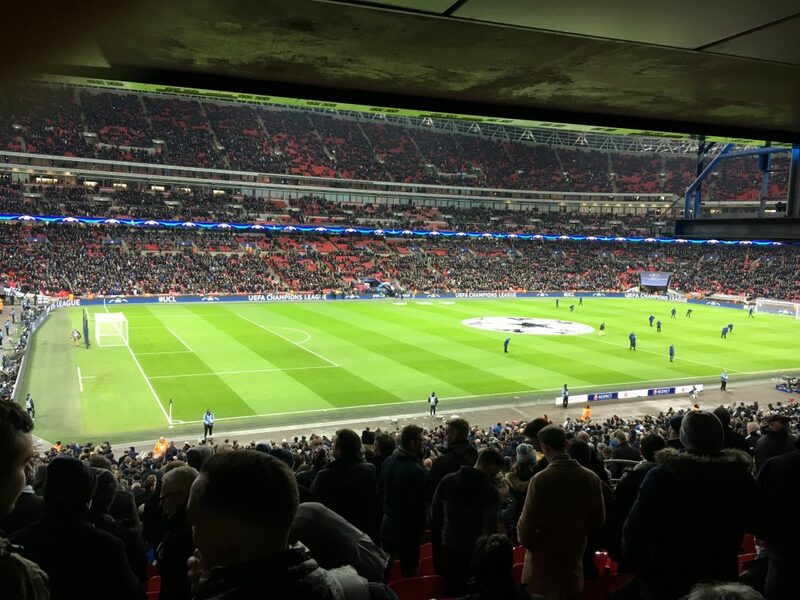 There was a goal for Spurs disallowed after it had initially been given and all the players returned to the centre circle after five minutes had past. The home side then got awarded a penalty seemingly from out of nowhere. It was scored but then a minute later disallowed. And the taker booked. None of the fans at the game had any idea what was going on. It was not obvious what they were reviewing or even what the decisions were made for. They could not even cheer the penalty as nobody knew it was going to be given. It just meant during the first half that the players and the fans for a total amount of nine minutes were just stood around in freezing conditions looking confused and asking each other what was going on. This cannot be the future of the game. It just disrupts the rhythm of the game and leaves the fans in the ground confused about what they have actually paid to watch. I did not think it actually helped with anything. I think that goal line technology is an improvement. But VAR a big no for me in its current state. It is endanger of destroying the game I love. That all said I am delighted Tottenham are still in the competition. I would so love us to win that trophy. It was great to see Llorente get a hat-trick and Walker-Peters get his first goal for the club. It very much keeps the season alive. I will be going to the next league game today at home against Huddersfield. It is another must win game as we must keep the pressure on the top four. As we really need to start out first season at the new stadium with Champions League football. And a top four finish will do that just in case we do not win the trophy this year. We have a huge game against Juventus at Wembley on Wednesday. Which I am very excited about going along to. It could be a big month for the club. Just a quick reminder that I do have a new podcast out for this year. It is basically a radio show on the internet with no music. It features stories from the past, opinions from the current and bits of some of the many interviews I have done during my twenty years working in radio. I am currently reading the excellent book from comedy Guru Logan Murray “Get Started In Stand Up Comedy”. Which is brilliant and helping me write some new material that I hope to perform later in the year. It is full of great practical advice, as well as lots of fun and creative games to play. To help with ideas, jokes and routines. I have the added benefit of having already completed one of his courses and having performed under his guidance. Which was such a fun and rewarding experience. And one I would recommend to anyone. The BBC Radio 4 Extra comedy programme that anybody can write for is currently back for its latest series. It is hosted by the wonderful Angela Barnes. It is a topical news show with plenty of satire. 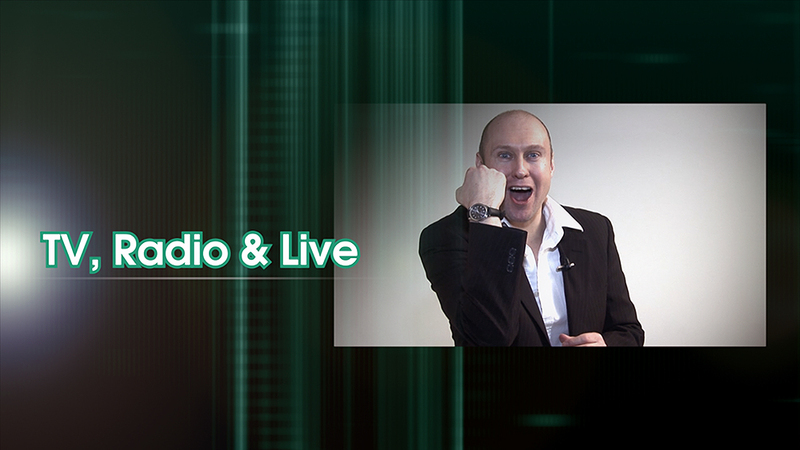 It is recorded every week at the Radio Theatre in front of an audience. Therefore if you do get a joke on to the show, you know the laughter is real and genuine. I am once again throwing a few one liners their way looking to sneak a few in once again. It is called Newsjack and it is on every Thursday night at 10.30pm.